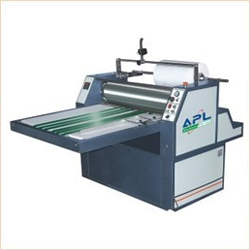 The thermal lamination process is becoming the norm for lamination of high-quality books and commercial print work, Photographers, Sweet Box manufacturers, Garment Box Manufacturers and other related units. 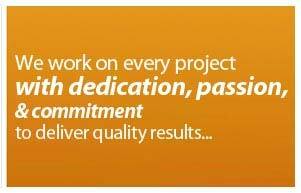 Our dynamically designed thermal lamination machines save more energy compared to others. We use Fluid Heat Control System With Digitally heat Controlling unit to provide our customers with the best result from our machine. 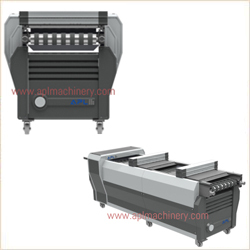 This machine is best suited for UV Coating and Curing (of coating by ultraviolet radiation) on Digital Prints, Every digital Printer (using HP, Canon, Xerox, Kodak, Ricoh) need this machine. This machine is very good for making Digital Photo Albums. 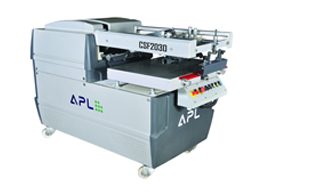 Offset Printers can use this machine for full coating UV Jobs and with add on of CSF. This machine can do Spot UV Jobs also. 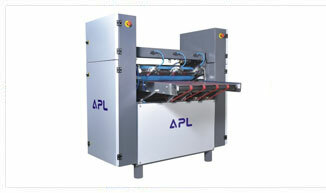 The Best Feature of this machine is DESIGN COATING (3D and 2D). Feather touch display (Next generation UV controller). Showing MPM (Meter per minute) Speed. Selection of 25%, 50%, 75%, 100% power of Lamp. Lamp will be Off when open the hood. Lamp will be on 50% if heat crosses the particular degree and will totally Off, if it cross the danger level. Min & Max speed limit is synchronized with lamp intensity. In case of error, it will display an error message on screen. After starting of Machine, it will give signal for ready use or lamp ready. Lamp will be Off in case of Paper jam. Lamp will be Off in case of Belt stop. Interlocked between Lamp, Blower, and Conveyer. Auto selection Of UV intensity. Varnish Pump on auto mode. Texture Roller can be used. For Aqueous and UV, Separate tanks are possible(Optional).